Boxing is paramount to the preservation of many books and documents. Boxes provide both structural support as well as protection from dust, dirt, light, mechanical, pest and water damage. 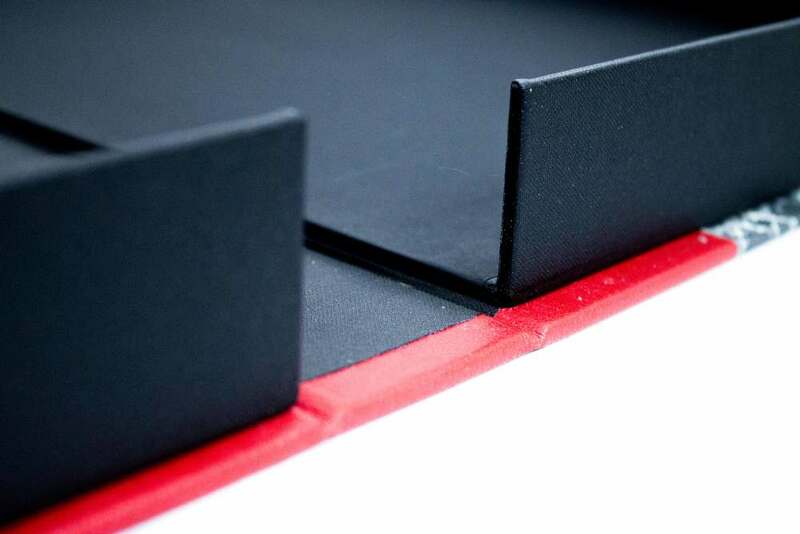 Our boxes are constructed using exact measurements and archival materials and can be made in a variety of formats to suit the material being held. Tray boxes provide more flexibility for lettering options on both the spine and front. Made from archival quality buckram and paper lining with a choice of 39 colours. Shelf marks and labels can be added to suit. Drop down spine boxes are designed to sit upright on the shelf, are made to measure and can be lettered on the spine if required. 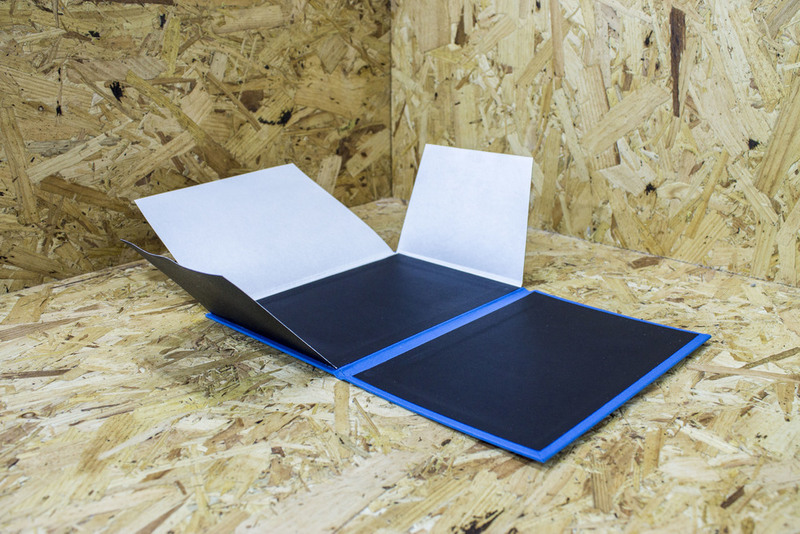 A temporary, economical solution designed to prevent further damage to books and documents in the short-term. Custom-made to the size of each item to be held, from archival board, and shelf-marks or labels can be added to suit. Slip cases are designed to protect the book and also display the spine of the book at the same time. Designed to sit upright on a shelf, these make an excellent finishing touch to any book. Flap cases are made for thinner documents, letters or pamphlets. They can be lettered on the spine where thick enough and on front. These are made to the exact size of the material to be housed to ensure that they are fully protected with no movement.